AmniTec B.V. (formerly Senior Flexonics B.V., founded in 1985) is part of a group of five companies specialised in the manufacturing of high-grade flexible connectors such as hose assemblies, bellows and expansion joints.AmniTec B.V. strives for the highest customer satisfaction by ensuring quick and faultless delivery of quality products that resolve expansion, alignment and vibration problems in the pipe systems of industrial customers in Europe. 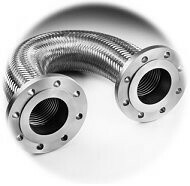 AmniTec stainless steel hoses have a large number of industrial applications, in which high demands are made on the absorption of movement, vibrations and misalignment. 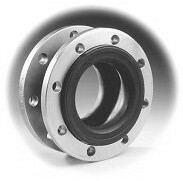 AmniTec has a wide range of rubber bellows and offers a choice of various types of rubber and different flange ratings. We can deliver quickly, thanks to our large stock in Rotterdam.